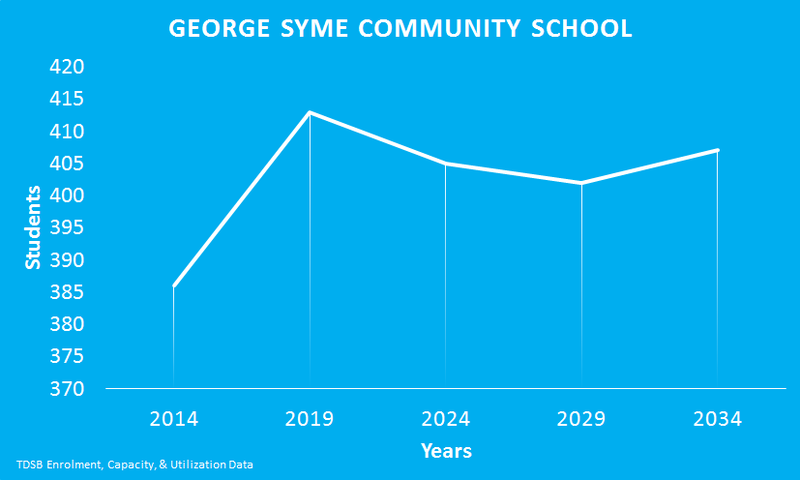 The TDSB projects that George Syme Community School’s enrolment will grow immediately, decline slightly, and then begin to grow again. George Syme Community School is part of the Model Schools for Inner Cities program. The school also offers French Immersion and International Languages programs.